Sharpening the handling of your GT3 does not have to come with a free back ache. While the OEM GT3 springs are tuned for performance, their design provides an inherent draw back when pressed to the limits. OEM GT3s use progressive springs with a variable spring rate. While this provides a soft ride, it also transmits more body roll into the chassis reducing confidence at the limits of grip. 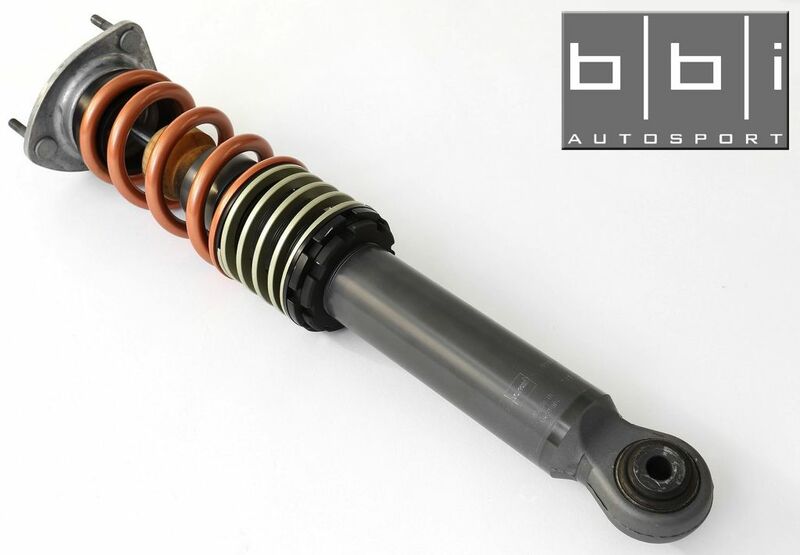 BBi's StreetCup Upgrade retains a modest spring rate specifically designed for OEM shocks, but use linear springs. Linear springs provide a very stable and predictable feel for both spirited driving or track conditions. With the assistance of softer helper springs, drivers can experience the best of both worlds; daily comfort mixed with track focused responsiveness.